Beginning the Year of Jubilee,- the Icon of the Mother of Perpetual Help. Launching the Year of Jubilee, Esker, June 10, 2015. On April 26th, 1866, the re-discovered and restored Icon of the Mother of Perpetual Help (‘Mater de Perpetuo Succursu’) was hung over the high altar at San Alfonso Redemptorist Church on Via Merulana, in Rome. Beginning this year, in 2015, the Year of Jubilee continues until April of 2016. 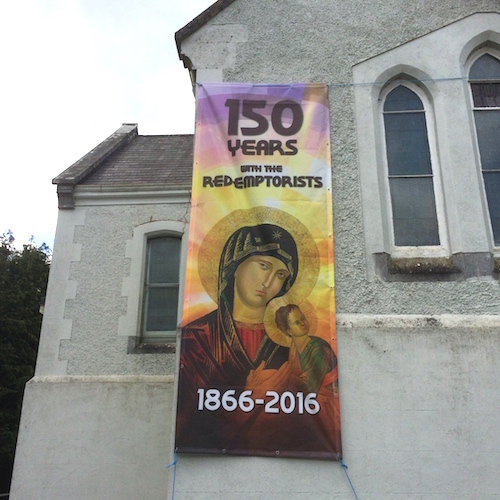 Pope Pius IX, when giving the picture into the care of the Redemptorists, said to us ‘Make her known to the World’,- and Redemptorists all over the world have been doing this ever since. 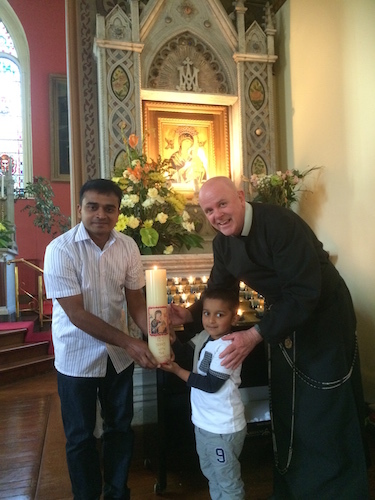 Lighting the Jubilee Candle: Densil Joseph, Dionn Densil, Fr. Brendan O'Rourke, Rector in Esker. 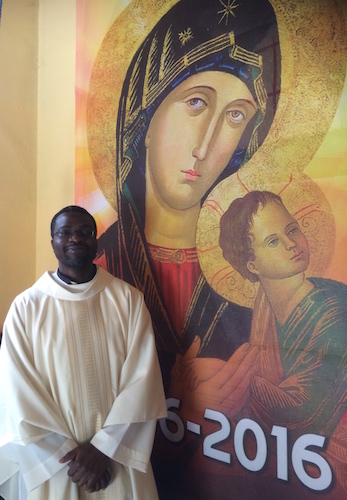 Novena to the Mother of Perpetual Help, which ran from June 2nd to June 10th, on the final day, the Jubilee Candle was lit, and will be honoured all through this coming year of Jubilee. At the end of the Novena in Limerick, which concludes this Saturday, June 20th, a candle will be lit at all ten sessions, as we have done in Esker. 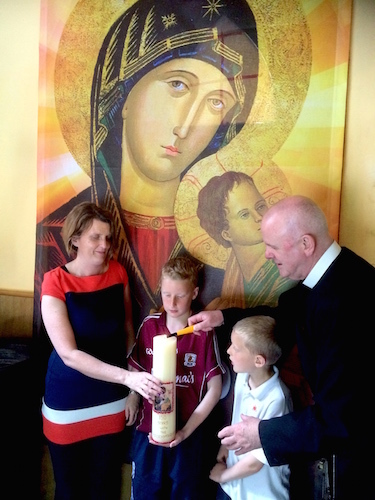 Again, at the end of the Clonard Novena (which began yesterday, June 17th and continues until Thursday June 25th) a Jubilee Candle will be lit. To learn about the icon’s story through history, click here. 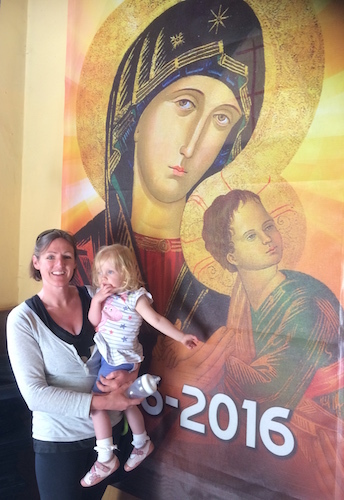 Ann-Marie Doyle, and Mia (aged2), with the Mother of Perpetual Help. ← ‘Meitheal’ in Esker, June 2015.